My son, Patrick, suffered from serious mental illness (SMI). In 2014, he died in a hospital psych ward where I thought he’d be safe. So why am I still here as a steering committee member of National Shattering Silence Coalition, and as a former Mental Health Policy Director for NAMI California? Passion, I guess. An inability to walk away from so much suffering. In 2016, I set up a website and blog in honor of Pat’s life and memory. I began posting two stories a week from SMI family members. This blog has turned into a first-person testament and running record of the horrors and struggles SMI families go through. It documents their efforts to try to get help for their loved ones. It highlights the voices of those who are losing their children to prison, the street, and/or to death. If NAMI is sincere about wanting to hear us and help us, it may be worth its members time to visit this website at Sooner Than Tomorrow: A Safe Place To Talk About Mental Illness In Our Families. 1) Establishment of a Family SMI Council. NSSC wants to work within NAMI not outside it. It wasn’t clear on the phone call that this request is being given serious consideration. 2) Reclassification of SMI as brain/physical diseases. This would be a first step to gaining more parity in mental health care and more funding for research. It would also address stigma. 4) Assisted Outpatient Treatment promotion with regulations that it be delivered with respect and compassion. 5) Repeal of the IMD exclusion. Sleeping on the ground is not better than sleeping in a bed. 6) Peer/Family Reconciliation: This point is a big one for me. When I worked for NAMI California over ten years ago, I wasn’t prepared for the hate and loathing that flew my direction from consumers who wanted nothing to do with talk about involuntary treatment, family rights, and anosognosia. I got it. These peers had suffered at the hands of our medical and judicial systems. They were competent and wanted to make independent decisions for themselves. But families like mine had different stories about people so ill they couldn’t make good decisions for themselves, would never achieve meaningful recovery, and, if not for their families, would be in much worse circumstances. Can we please acknowledge that all of us, peers and families, are suffering and that everyone’s experience is valid? Can we simultaneously acknowledge that everyone’s experience is not the same? We must seek a range of solutions to address needs across a spectrum. We need peers and families to work together. NAMI must promote treatment not prison. It must be a watchdog against criminal and inhumane care of mentally ill prisoners. This is a big, overwhelming list. I didn’t even mention the need for supported housing, for supported education, and for mental health/illness practitioners. There are many moving parts that must be prioritized and synchronized. NSSC wants to work with NAMI to address these issues. Photo of my son before our world came undone. About the Author: (Taken from National Shattering the Silence website ) Dede Ranahan established the Institute for Mental Illness and Wellness Education at Cal State Hayward, served as walk director for the first two NAMI walks in San Francisco, and was the first Mental Health Services Act Policy Director for NAMI California. She also created the website, Sooner Than Tomorrow, A Safe Place to Talk About Mental Illness in Our Families. 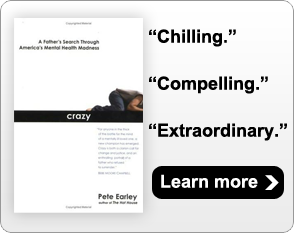 One section of the website publishes first person stories of families with serious mental illness. Another contains a diary that she kept from 2013 to 2014 not realizing she was capturing the last year of her son’s life. He died in 2014 on a psych ward where she thought he’d be safe. Dede’s essay about serious mental illness, “A Canary in the Coal Mine,” is included in a new book, We Rise to Resist: Voices from a New Era in Women’s Political Action available on Amazon.